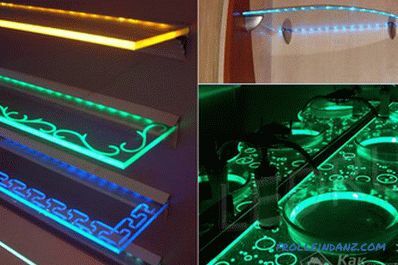 If you want to refresh the design of your home, then you can use the modern chip of many designers - illuminated glass shelves with LED tape. 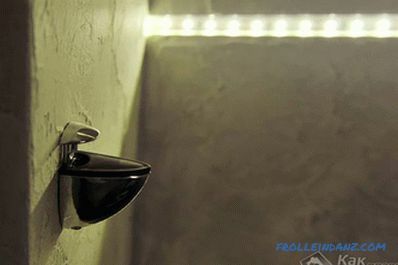 For example, they can be installed in the bathroom, living room, kitchen and not only. 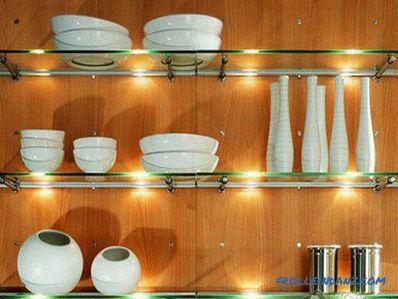 LED lighting glass shelves with their own hands is done very quickly. Although more Illumination performs a decorative role, in practice it visually expands the space of the room. In this case, the backlight color can be completely different, ranging from white to purple. 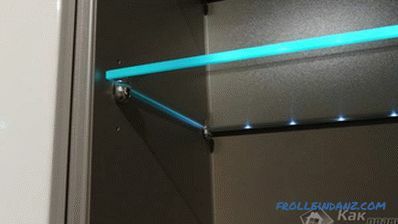 It is possible to change the shades of the lighting of the shelves of glass to your liking, using an RGB tape. So, the backlight will smoothly change according to your desire. Manage is very simple. 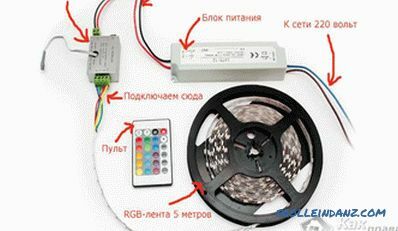 It is enough to install a special radio transmitter or controller that is connected to the illumination system using wires. Using the controller, you can change the colors of the backlight and add different effects, for example, change the brightness or add flicker. This is especially effective when there is a desire to constantly change the image of the room depending on the time of day. As a rule, LED lighting does not take up much space and is very light in weight. 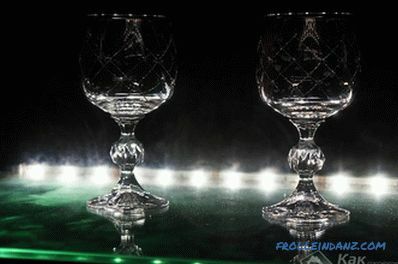 This allows you to use it in other elements of the interior, for example, on crystal figurines. If you use glass shelves to hold flowers, then Absolutely no damage to the LED backlight. 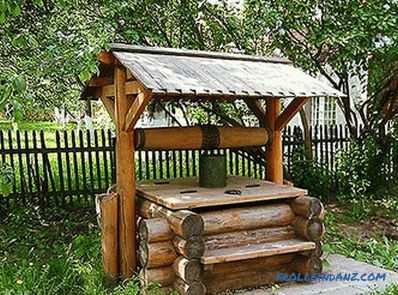 It does not overheat the flowers and will last for many years. To construct the backlight for shelves made of glass, a special anodized aluminum profile is often used. 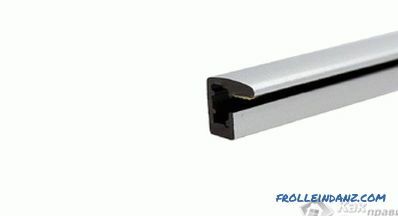 The thickness of this profile, which is inserted into the glass, is 8 mm. So, the light will "flow" through the glass, reflecting from the edges of the surface. At the same time, the tape itself remains invisible. 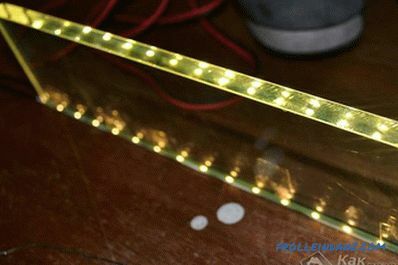 The advantage of this technique is that the LED strip does not emit UV, so it can be used as an alternative or addition to the main lighting of the home. In addition to tapes, you can also use a spotlight, which is much simpler, and for complex options, you can use a modular LED backlight. End illumination. In order for the backlight to be at the end of the glass shelf, the tape is installed on the back side of the shelf support. In another case, it can be glued to the plane of the shelf holder. Traditional lighting. In this version, the usual illumination is made for objects located on a glass shelf. 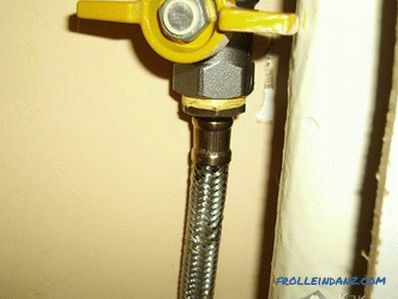 The tape is glued to the wall in the upper or lower position. It is important to choose a position so that the tape does not shine in the eyes. Illumination from the end of the shelf. In this version of the backlight, it turns out to make a uniform glow from the outer end of the shelf. Frosted glass illumination. If frosted glass is used in your interior, you can mount the LED strip in any of these options. For example, stick in aluminum profile. Installation of LED lights in 4 steps! Profile The first step is to cut the aluminum profile to illuminate the shelf. Pre-purchased profile corresponding to the thickness of the glass. After cutting off the required length from the profile, it is important to remove all the projections, otherwise it will be extremely difficult to insert the backlight. Next, holes are drilled in the profile. To attach it, you can use the usual plastic dowels and screws. When attaching the bar, check its level. With the open ends of the profile, the LED illumination is very simply inserted into a special groove. 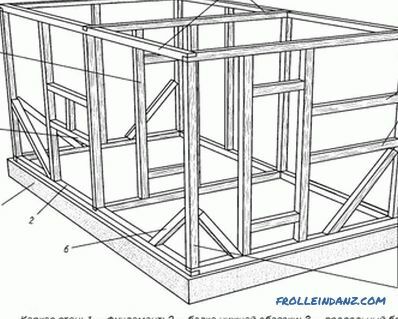 If the groove is closed, then the tape itself can be slightly bent by the house along the entire length, and after gluing it can be leveled with a wooden ruler. At the final stage, glass is tightly inserted into the profile. If the glass is tight, then with the help of a rubber hammer and a wooden attachment, you can hammer it into the profile. Usually there is an insert in such profiles from plastic. You can not delete it. 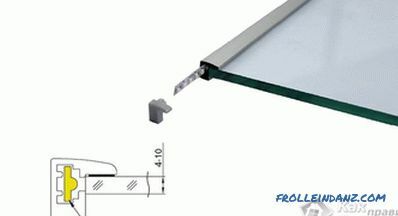 This insert will protect the tape from contact with aluminum. Otherwise closure will occur. 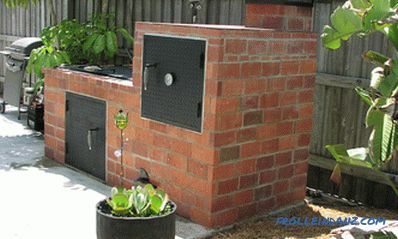 The whole process consists of simple technological steps. Therefore, the work will be able to cope with anyone who has conceived to make the backlight for glass shelves. Most importantly, properly connect the LED strip to the electrical network. 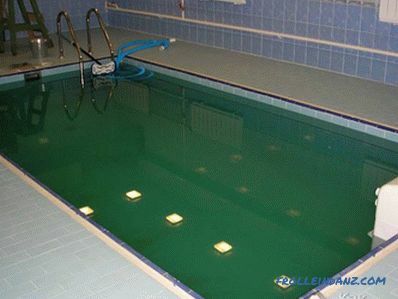 Well, this is another kind of work. If you have personal experience in making lighting for the glass shelf, you can write about it in the comments to this article!